This high quality glass tea globe will help you reimagine the way you enjoy your tea. The silicone stem makes it easy to dunk the globe to build the flavours, or to remove it once it reaches the optimal strength. Previously, a cup a tea that you drank alone was always made with a tea bag. 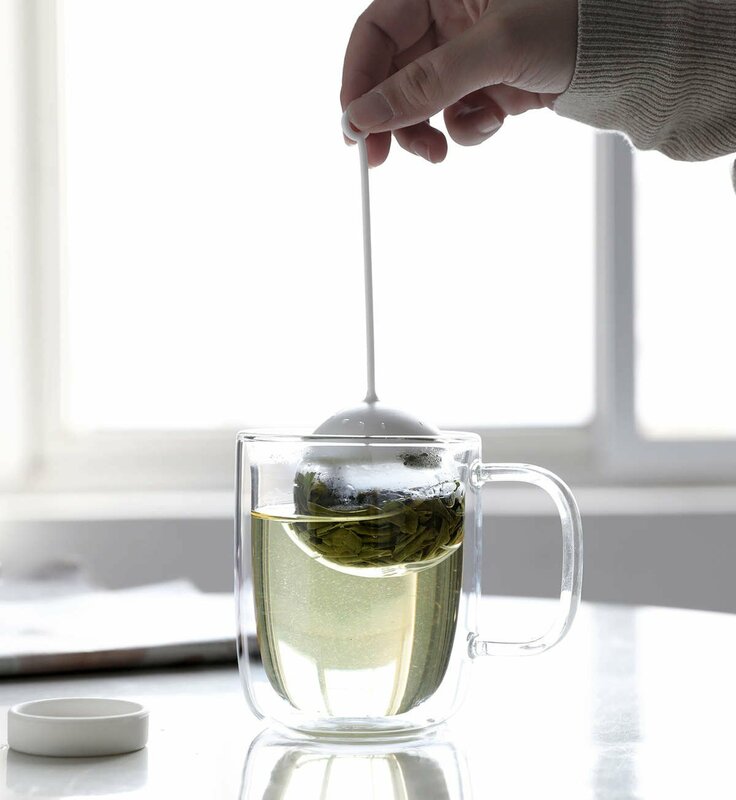 With the Infusion Tea Globe you can make tea bags a thing of the past as you make perfect individual cups right in your mug. Making a cup of tea is all about indulging the senses. The aroma from the leaves, the depth of colour as your brew strengthens and the warmth of the mug in your hands. 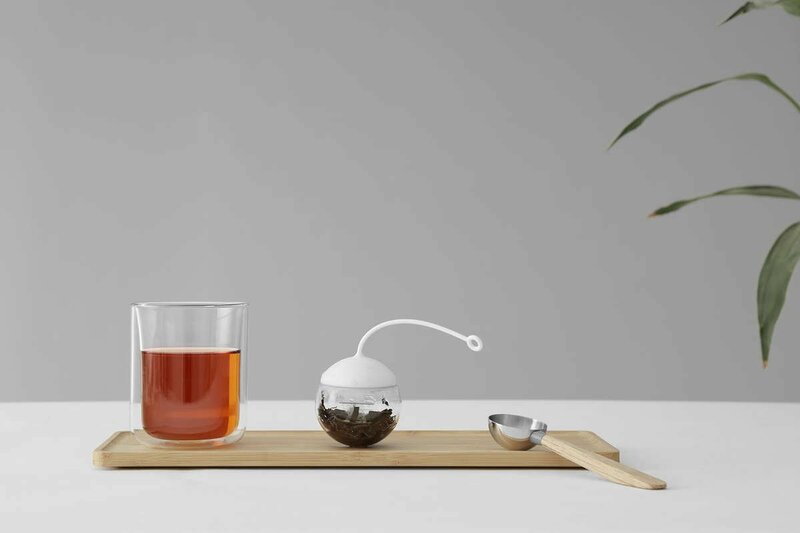 The Infusion Tea Globe is the perfect companion to take you on your sensory journey. 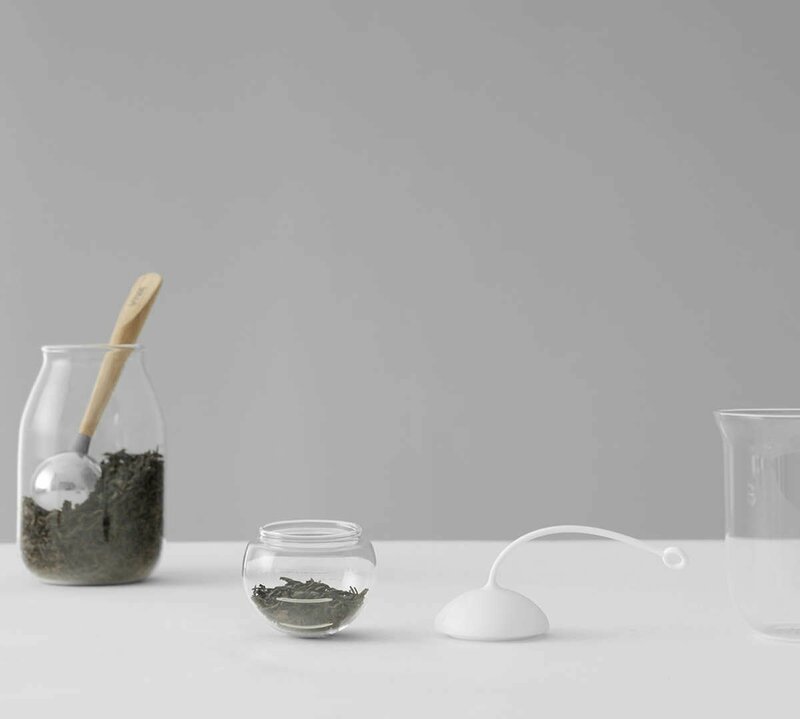 The glass body lets you see the tea release its flavours as they infuse into the water. It’s a complete visual treat. If the scent of tea is what you love most, then you’ll be consumed as it wafts up from your cup. Feel completely at ease as you hold your toasty mug and you let the busyness of your day drift away. Our premium quality, food safe silicone, Istoflec is some of the best on the market, and is engineered specifically for use in cookware. You can be sure it won’t affect the flavour or quality of your tea and is 100% BPA free. The silicone cap pops off the glass globe by simply placing your thumb under the lip, and gently levering it off. Once separated, both components can easily be rinsed and washed. Both parts are dishwasher safe, but due to their small size we recommend washing in a cutlery cage or similar. This depends on the type of tea you use, and how strong you like to drink it. 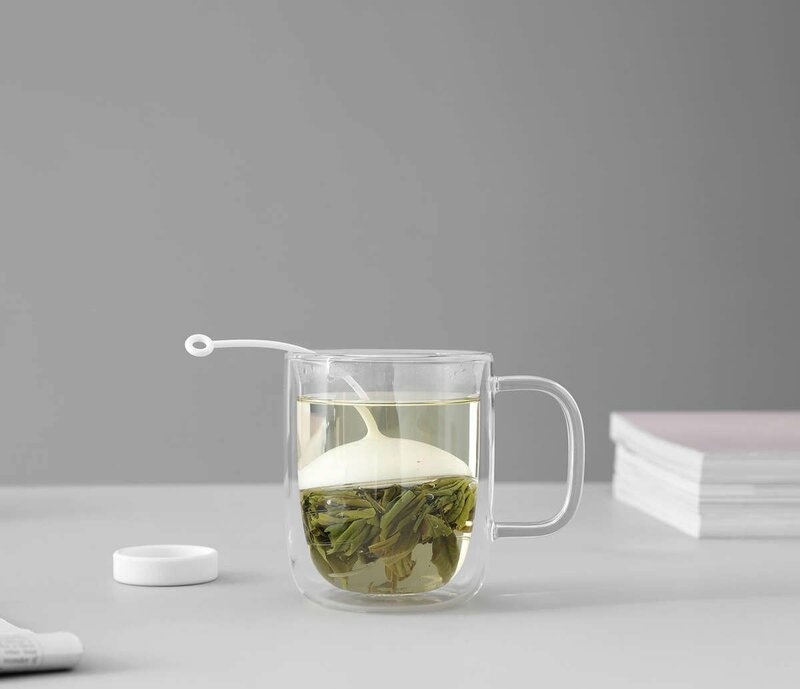 The beauty of the tea globe is that you can dunk the silicone stem to encourage more water to pass through your tea, and remove it easily when it has reached your ideal strength. Can I use this in a teapot? The tea globe is intended to be used in a cup, for a single serving of tea so therefore would not be appropriate for teapot use. Much tea can I fit in tea globe? The tea globe can contain 2 teaspoons of tea. If you’re looking for a larger capacity infuser, you might prefer the Infusion Tea Tubeinstead.